EUMETSAT’s Director-General, Alain Ratier, and Dr. Gerd Gruppe, Director of Space Administration at the German Aerospace Center (DLR), signed a cooperation agreement for the development of the METimage instrument to be flown on three successive Metop-SG A satellites of the EUMETSAT Polar System Second Generation (EPS-SG) in the 2021 to 2042 timeframe. The agreement ensures the inclusion of the visible infrared imaging radiometer, METimage, as part of the payload of the Metop-SG A1, A2 and A3 satellites. The METimage advanced radiometer will provide moderate-resolution optical imaging of clouds, aerosols, and surface variables, in 20 spectral channels, benefiting applications such as Numerical Weather Prediction (NWP), Nowcasting at high latitudes, Oceanography, Climate monitoring, Hydrology and land monitoring. 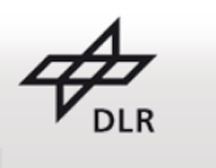 Under the agreement, DLR will develop the first METimage flight model and data processing algorithms, procure recurrent instruments on behalf of EUMETSAT and provide support to operations. EUMETSAT will fund 30 percent of the development costs for the METimage system and the full costs of recurrent instruments. Also, EUMETSAT will operate the METimage instruments as part of EPS SG throughout its entire lifetime and cover the related costs. EUMETSAT’s Director-General, Alain Ratier, offered that the EPS-SG system requires a suite of advanced imaging and sounding instruments to be the most important source of satellite observations for numerical weather forecasts.